batting fibers from your cutting mat. 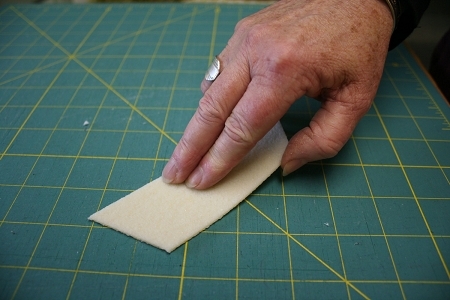 Use a brushlike stroke with the angled edge and it will pull the fibers from the crevasses of your cutting mat. To clean, use a brush to scrub lint off under cold water.